In the past 6-12 months, the number of clients and referring veterinarians asking questions regarding the link between certain diets and heart disease in dogs has increased dramatically. Recently, there has been an apparent association noted between dogs on boutique, exotic, and grain-free diets (BEG diets) and dilated cardiomyopathy (DCM). Vegetarian, vegan and home-cooked diets also seem to be linked with DCM. 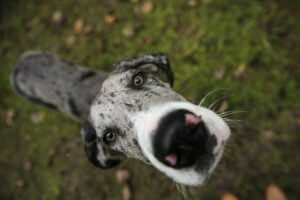 While the exact cause is unknown, the association has been seen in cases around the country and has caused significant alarm among pet owners, primary care veterinarians, cardiologists and nutritionists. BEG diets appear to be very popular with many owners looking to feed their pets a high-quality food. Some owners feed these diets at the recommendation of their breeder or primary care veterinarian. Many have been surprised and concerned when they learn of the association between certain diets and heart disease in their pets. Dilated cardiomyopathy is one of the two most common types of acquired canine heart disease. It is most commonly seen in large breed dogs such as Dobermans, boxers, and great Danes. Some smaller breeds are affected by DCM (cocker spaniels), and cats are occasionally diagnosed with the condition as well. Echocardiographic changes include left-sided heart enlargement and reduced systolic function. Arrhythmias are common (both supraventricular and ventricular), and many patients develop congestive heart failure. Importantly, the most common acquired heart disease in dogs, degenerative valve disease, has not been associated with these diets. Nutritional deficiency should be considered an unlikely factor in an older small-breed dog with a loud heart murmur and left-sided cardiomegaly. The recent cases of diet-associated cardiomyopathy were first reported in a group of golden retrievers. It has since been noted in many breeds including those that commonly have genetic DCM (Dobermans, for example) as well as breeds in which DCM is unusual (small dogs). Initially, it was suspected that taurine deficiency may be the cause of DCM in these dogs. The group of golden retrievers studied appeared to have low to normal reduced taurine levels and responded well to a diet change and supplementation with taurine. Golden retrievers, as a breed, are known to have lower taurine levels. Since that time, it has become clear that there is a second group of affected dogs that does not appear to have low taurine levels. There are ongoing studies by veterinary nutritionists as well as cardiologists, and cases are continuing to be collected to gain more information. Additionally, the US Food and Drug Administration announced in July that the FDA’s Center for Veterinary Medicine (CVM) and the Veterinary Laboratory Investigation and Response Network, a collaboration of government and veterinary diagnostic laboratories, are investigating this potential association. Measure whole blood and plasma taurine levels. These should be measured even in dogs that are more frequently seen with genetic DCM such as Dobermans and boxers. 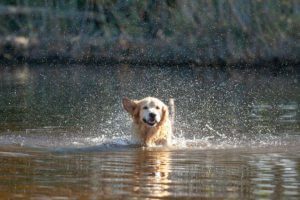 Even low-normal levels in a golden could be a concern as this breed tends to have lower measurable taurine levels. Change the food to one made by a well-established manufacturer with standard ingredients (chicken, beef, rice, corn, wheat, etc.). Importantly, simply adding grains (cooked rice, for example) to the existing diet is not recommended. It is unclear at this time if the problem is due to what is missing from the diets (grains) or what is in the diets (legumes, exotic meats, flax seeds, etc.). Consult with a nutritionist if the food must be home-prepared for other systemic conditions. Supplement taurine for all dogs. Recheck an echocardiogram in 3-6 months. Many dogs appear to have improvement/resolution at this time but some may take longer to improve. If other dogs in the house are on the same diet, they should also be screened for DCM and, if changes are noted, the above recommendations should be followed. The same relationship between BEG diets and DCM has not been recognized in cats as of yet, but the same recommendations would apply to feline patients. The FDA requests that cases of diet-associated DCM be reported. In order to do this, the owners should save samples of the food (main food, treats, chews, and supplements) as well as product bags or labels. The veterinarian or owner should report the case to the FDA online or via phone. If the patient is a golden retriever, the case can also be reported to the Josh Stern Cardiac Genetics Lab. If you have a patient eating a BEG diet and you or the owner are concerned about the possibility of cardiomyopathy, contact a BluePearl cardiologist near you for a screening echocardiogram to determine if any treatment is indicated.